Pommie was from a less than desirable home situation. 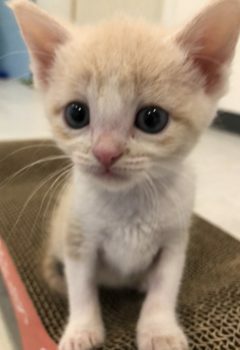 Pommie is a sweet, cuddly kitten, the smallest of her litter, and a light summer blonde. She’s a delight and will claim your lap as soon as you sit down.